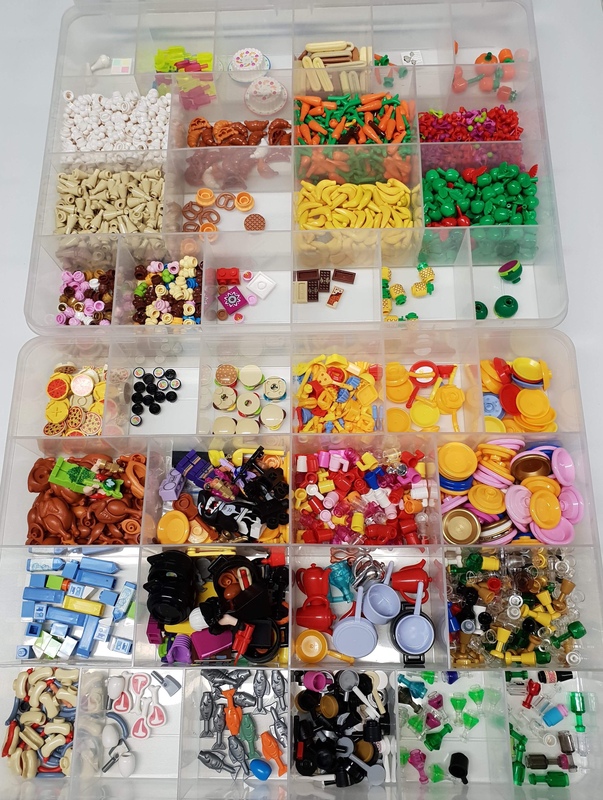 Lifelong Brisbane resident, Anita Eenink is subject #24 in our LEGO storage journey. Like so many AFOLs, Anita loved LEGO as a child but fell into her dark ages until she found herself in the toy aisle purchasing LEGO for her son. Her passion for LEGO centres around her childhood loves of Fabuland, Forestmen and minifig accessories as they remind her of the joy she felt as a child and they will always be her favourites. These days, Anita is an avid MOC builder and her husband is a set builder. Upstairs at their house is devoted to sets and they currently have 6 cabinets filled with their favourite builds. Downstairs is the domain of MOC creation and you’ll find all of the parts organised and accessible. Anita’s MOCs are full of colour and often reflect her interests in fairy tales, books, movies and pop culture. 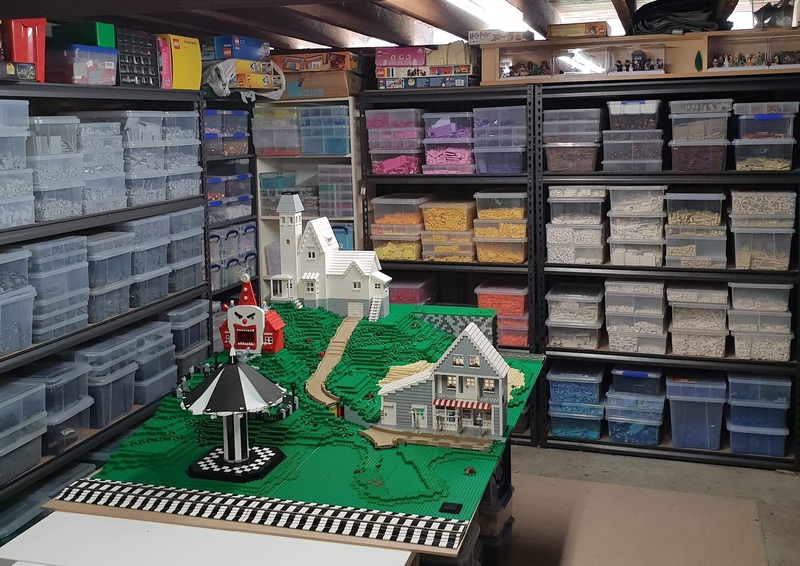 Anita’s storage philosophy has evolved as she herself has evolved as a MOC builder. When she first started out her collection was organised in ziplock bags by part type. As her collection grew she progressed from ziplock bags to tackle boxes and plastic tubs. Sorting by colour eventually reigned supreme for Anita as she prefers to build out of as few boxes as possible at any one time. Generally, when she builds, it will be based on particular colours rather than type and this lead to her changing her overall sorting philosophy. Having said that, she still has things like plants, car parts and minifig accessories sorted by type as this still follows her preference for having as few boxes out as possible when building. Community is important to Anita and she has fond memories of her first forays into building with LEGO as an adult, discovering eBay, and being directed to Bricklink where she met a group of hilarious, creative and interesting people in the Forum. This is when she realised being an AFOL was more than just building with bricks, it was a community. Currently a member of Rainbow Bricks and BrisBricks, Anita was also a member of BUGs (the original Brisbane LEGO User Group) but has only ever really been on the periphery of the groups and considers herself a “flakey member” at best. Even though she finds public LEGO Fan displays a source of anxiety, she loves sharing her creations with other people and some of her past efforts can be found on flickr at tikitikitembo.